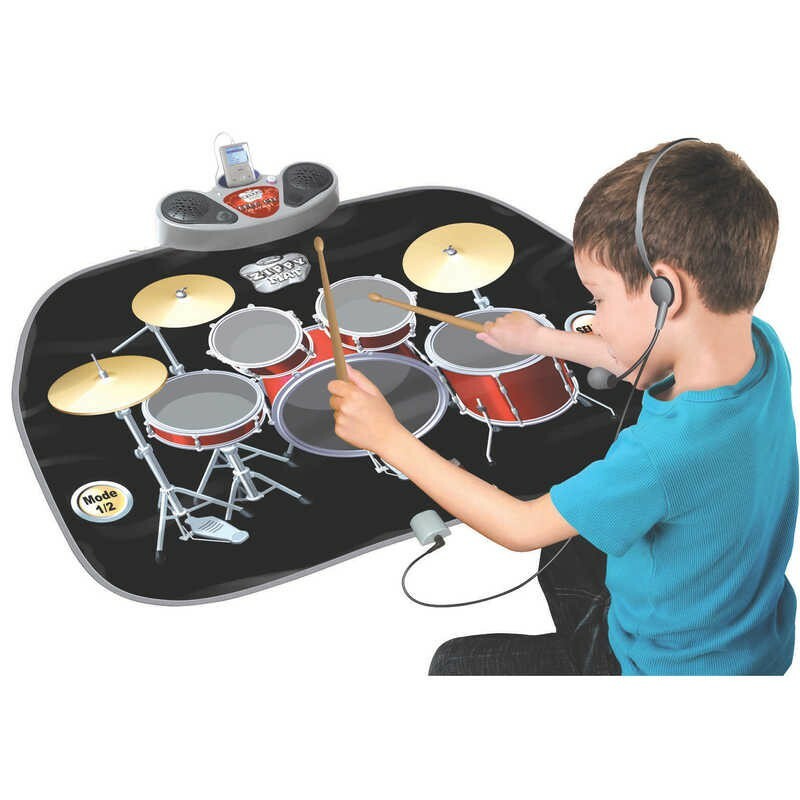 Touch sensitive drum kit play mat. Tap each of the four drums and three cymbals with the plastic drumsticks provided to make authentic sounding drum set noises. A choice of several pre-recorded tracks provide a choice of tunes to bash along to.